This article was first published in Hype & Stuff on 17 July 2017. We have finally passed the mid-year mark on the calendar and this calls for a bit of a celebration. Why? Besides the long-awaited year-end holidays, the upcoming lineup of exciting blockbusters (cue JUSTICE LEAGUE, Kingsman: The Golden Circle, IT, and so much more) set to hit theatres is definitely something worth looking forward to. Ironically, one can tire of the mundane movie experience. Which is probably also the reason why we are always on the hunt for something different and unique. 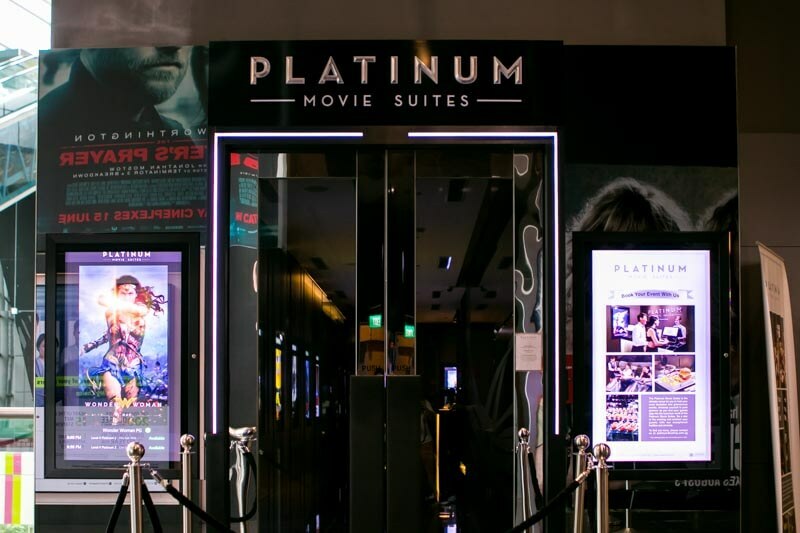 We’ve heard so much about the Cathay Platinum Suites, and decided to pay the one at Cineleisure Orchard a visit. It goes without saying, we were not disappointed. The Cathay Platinum Suites experience begins right as you push open the doors. 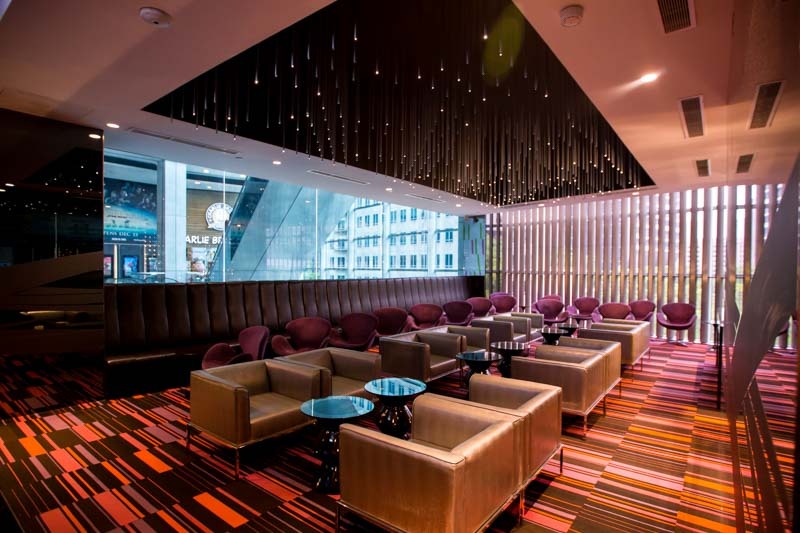 The lounge, with its velvet chairs, leather couches, carpeted flooring, and mesmerising dangling light display, exudes an air of sophistication. Quite the perfect (and cosy) atmosphere and setting for some pre-movie chilling or simple catching-up. The air of sophistication followed us into the theatre where we were greeted with luxurious and lush leather seats. 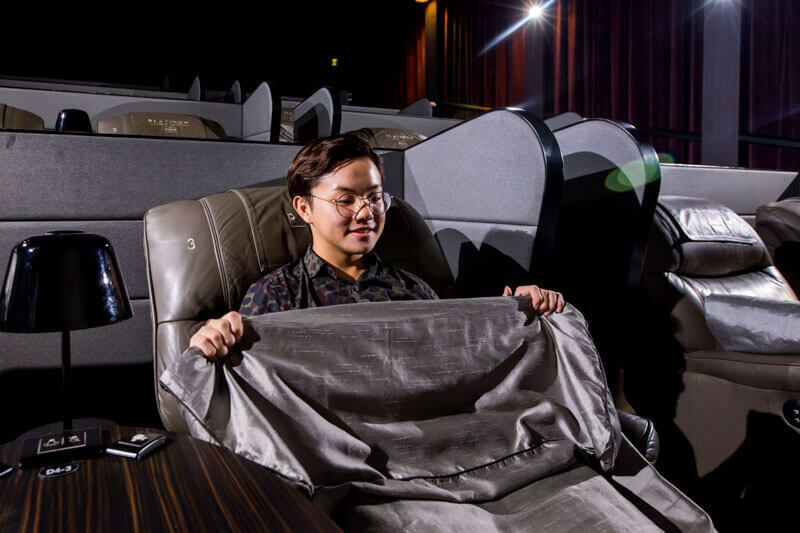 To achieve some form of privacy for an intimate movie setting, the seats in Cathay Platinum Suites are paired and separated by a divider. A single dark wood-washed table and a lamp is shared among the two seats. Besides light switches for the lamp, the table is also equipped with call buttons, which allow you to conveniently buzz for service. 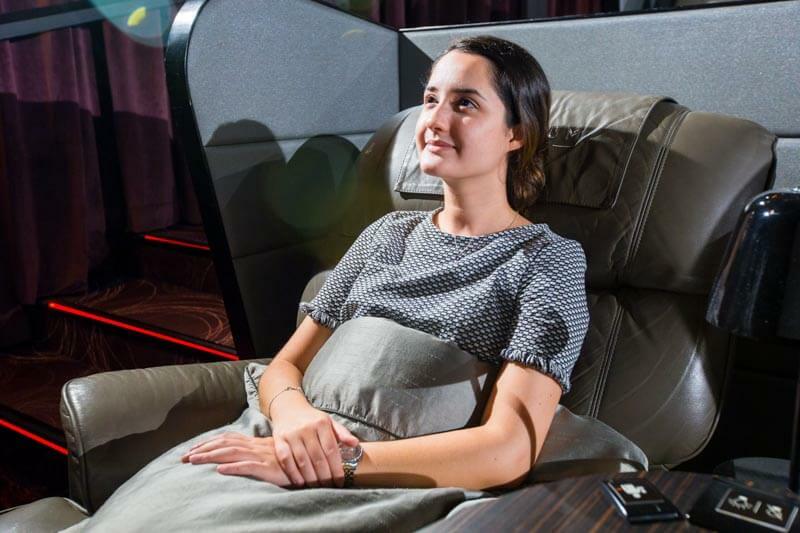 Each seat also comes with a thick, comfortable blanket which makes for a good snuggle buddy to combat the dreaded theatre cold. 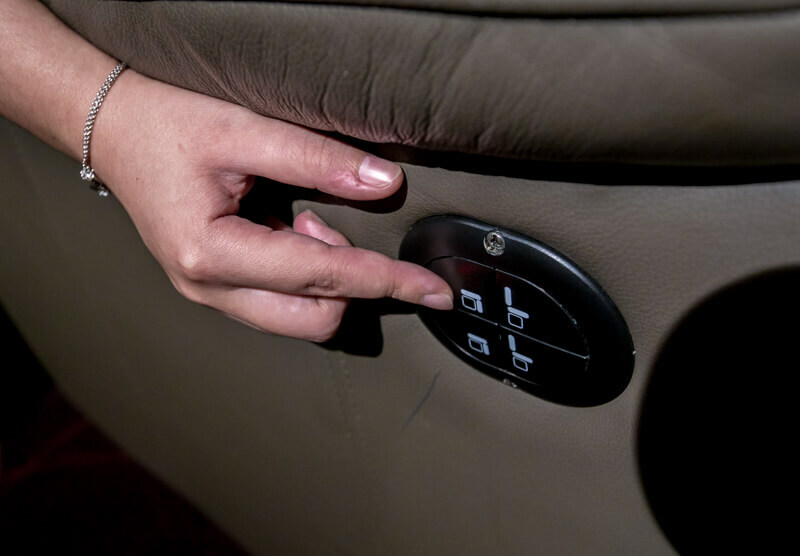 The luxurious seats are also ergonomically designed and allow you to recline, pretty much making you never want to leave. 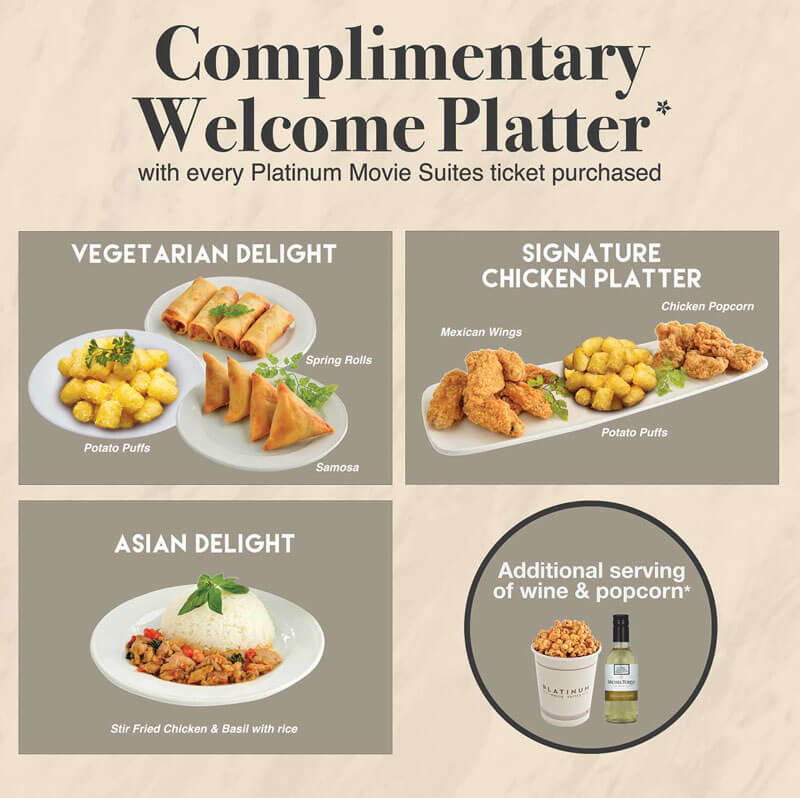 For every ticket purchased, Cathay Platinum Suites will be gifting movie-goers a Welcome Platter. 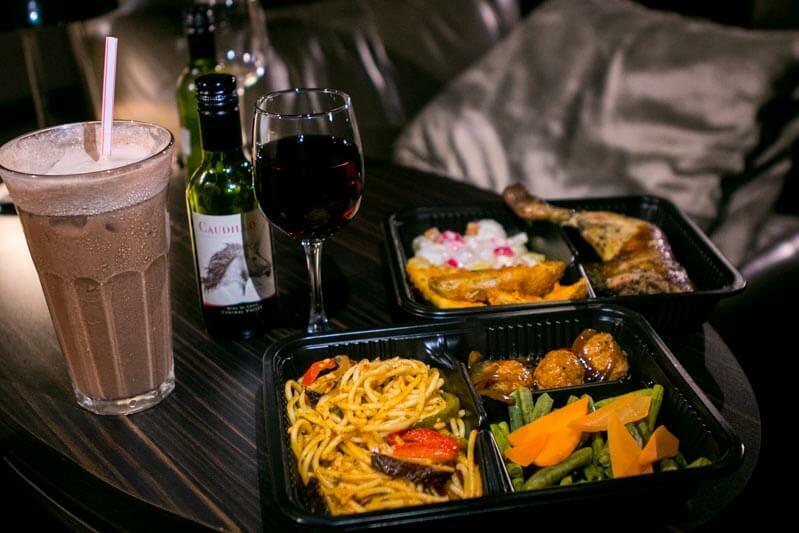 From 17 July 2017 onwards, you get to choose between the Vegetarian Delight, the Signature Chicken Platter, or the Asian Delight. 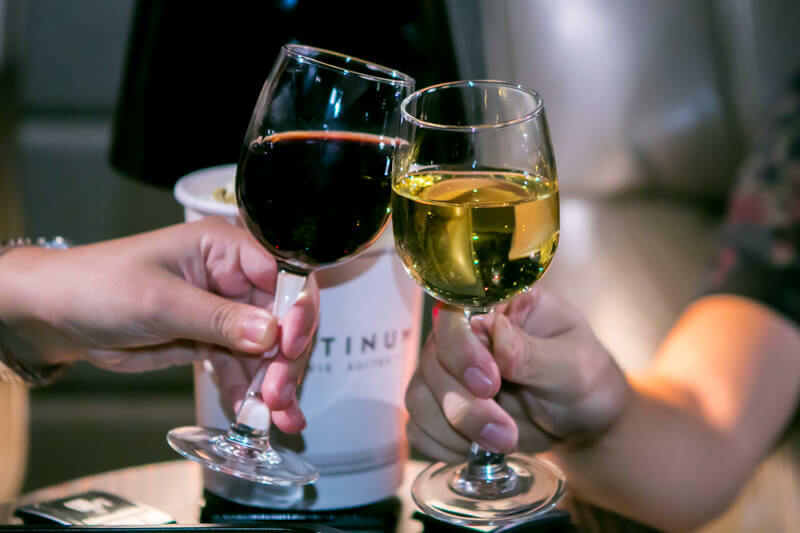 What’s more, you’ll even get complimentary popcorn and wine on selected days as well! Do note that this promotion is subject to change, so head there soon to enjoy it. 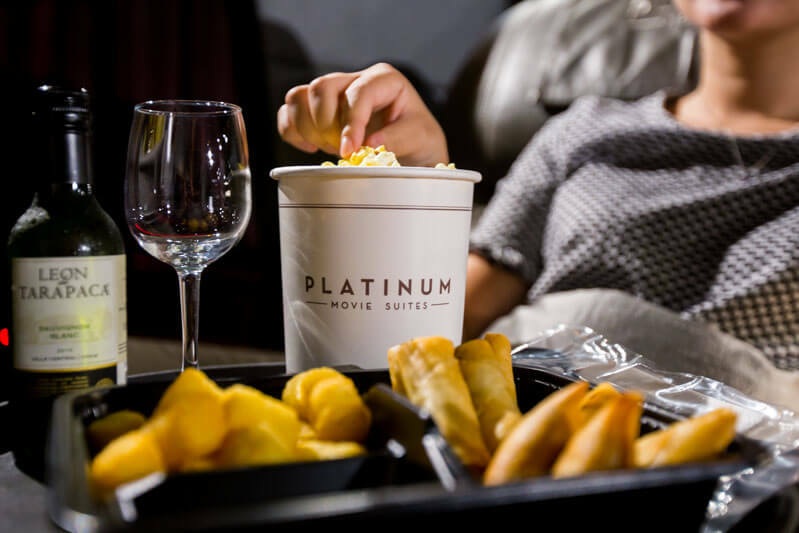 If you’re the kind of person who’s always like, “No thanks, I’m not hungry,” when it comes to buying movie snacks and then starts mooching off everyone else’s halfway through, the Cathay Platinum Suites experience is ideal for you. If you get peckish halfway, a simple menu with a pretty decent selection can be found in the small pocket compartment under the table. Turn on your handy side table lamp, press the call button and a friendly server will be right with you. 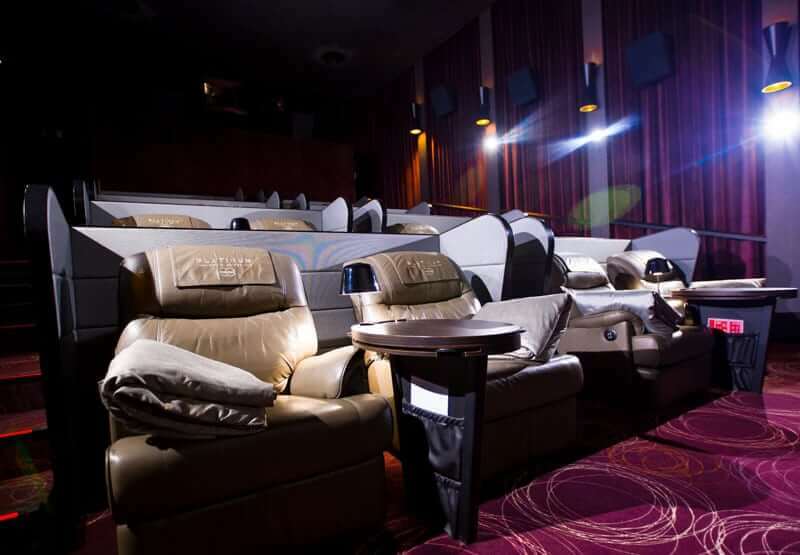 Cathay Platinum Suites has definitely set the bar high for its competitors in terms of providing a luxury cinema experience. 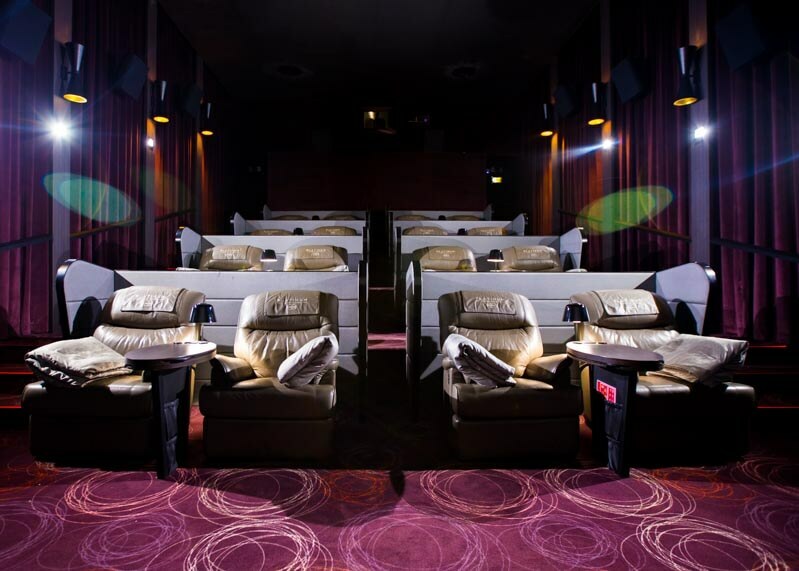 If you’re looking to catch a film with the same privacy you’d get at home, but with all the perks of watching it in the cinema, we guarantee that this will change the game for you.